Golden sunset on the river. 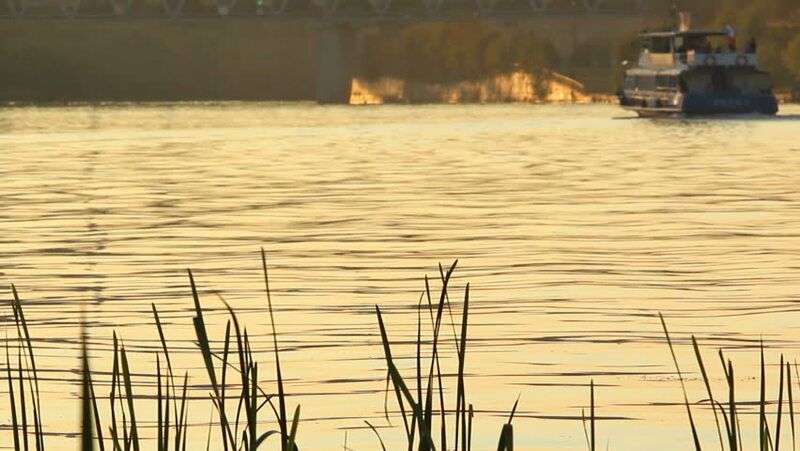 Passenger boat on the river at sunset time. hd00:31The surface of the water in the lake. Lake with waves and glare of the sun. Natural natural background. Shooting in daylight.